Forbes Magazine has honoured us with the prestigious ‘Forbes Diamonds’ award. As an organisation that operates both on the national market and on numerous export markets, we have been nominated for the ‘Forbes Diamonds’ award. Nominations for the said award involve companies with a positive financial result and a low financial risk factor. 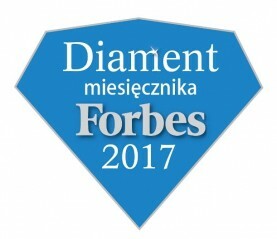 The Forbes Diamond ranking is developed based on a business valuation method and combines the asset approach and the income approach. The credit reference agency that evaluated our financial standing for this ranking considered FCB Ceramika a reliable and credible company. From the perspective of the market, we personally give precedence to the transparency of our business, the quality of the products we supply and the security of commercial transactions. These are the priorities we wish to pursue and improve ourselves in by taking part in various competitions and rankings.